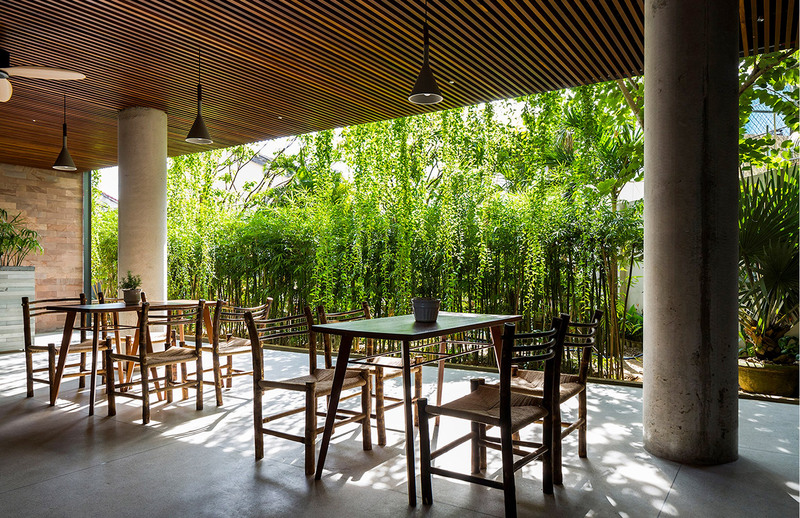 Coffee is served under a pitched wood and glass roof, which recalls the form of a greenhouse and helps filter pollution in the space beneath. 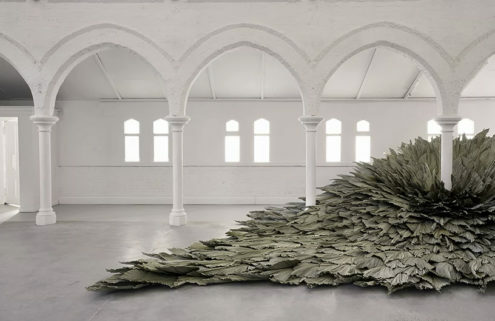 Creepers meanwhile reach along the walls and plants spill down from the ceiling, adding to the tropical effect. 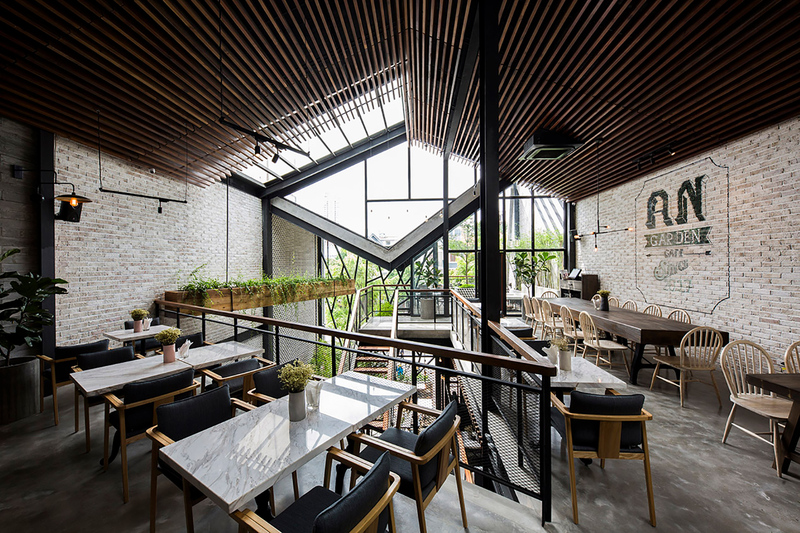 Architecture practice Le House had the Hanging Gardens of Babylon in mind when designing this plant-covered café in Hanoi’s Hà Đông neighbourhood. 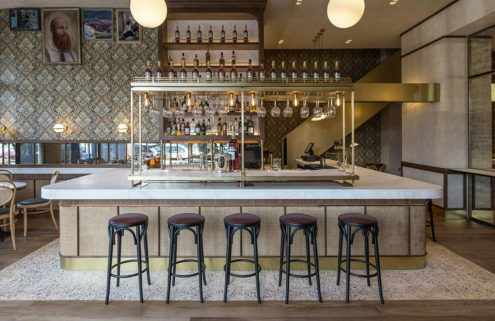 The eatery takes over a former industrial site. 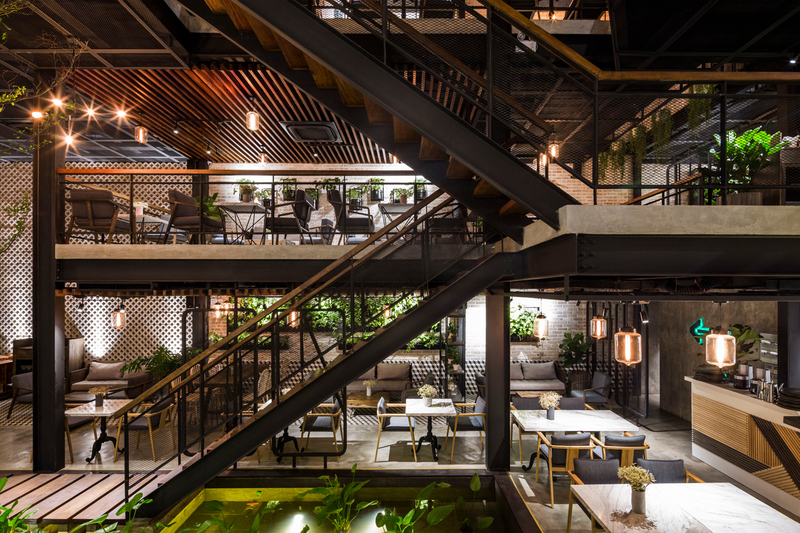 An’garden has steel-frame and bare brick interiors that are filled with greenery, including trees sprouting from the concrete floor and a hidden koi carp pond behind its blackened-steel staircase. 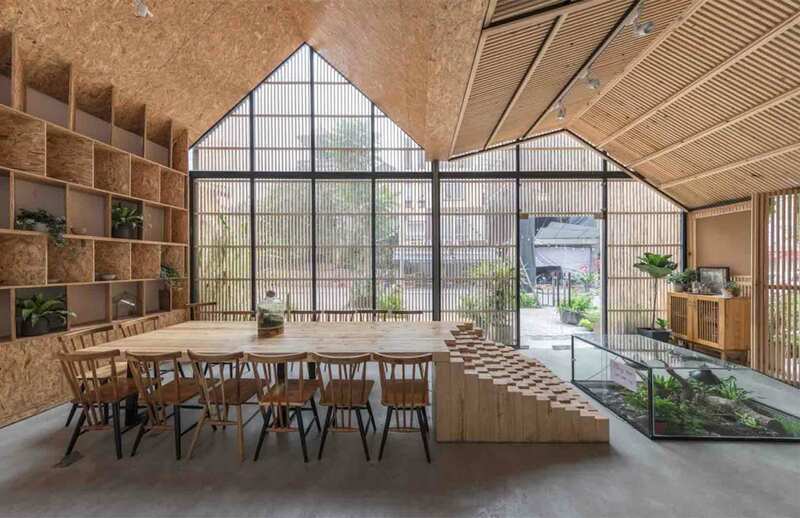 The three-storey space features an overlapping timber-slatted roof and huge glass facade that draws light into its cavernous spaces. 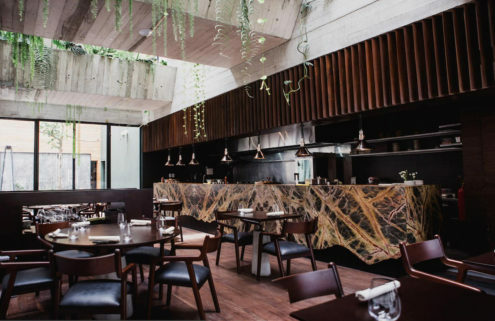 Huge timber planters are suspended from the roof and are dripping with vines. 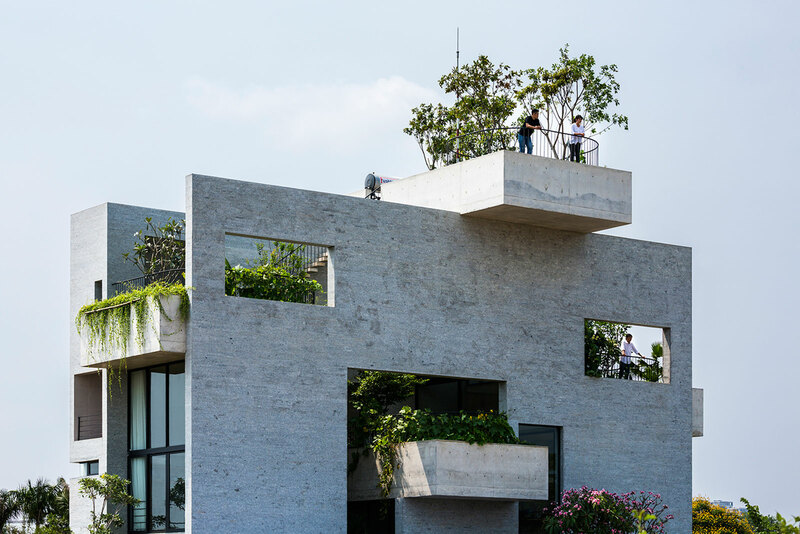 Part of Vo Trong Nghia’s ‘House for Trees’ series – which aims to return greenery to cities – this boxy residence has plants sprouting from every spare space. 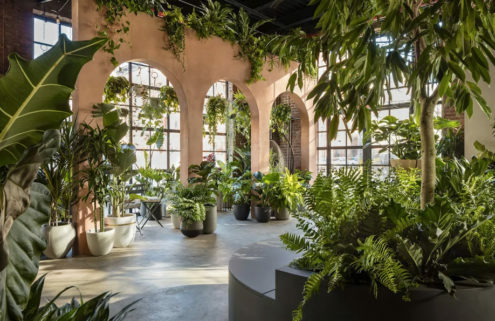 Its abundant gardens connect the home’s multi-generational inhabitants, and improve wellbeing by offering fresh produce for the kitchen. 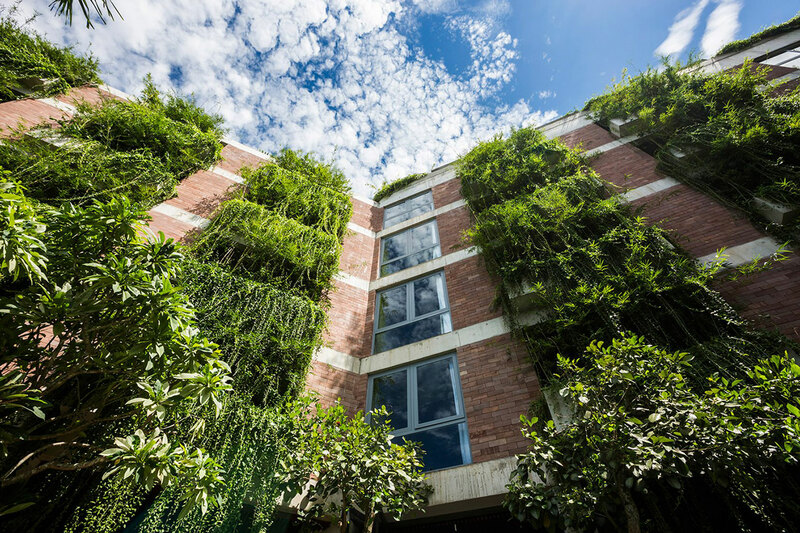 For this Ho Chi Minh City home, 23o5 Studio broke with convention, bringing the garden into the bedroom and punctuating its concrete interiors with flashes of greenery. 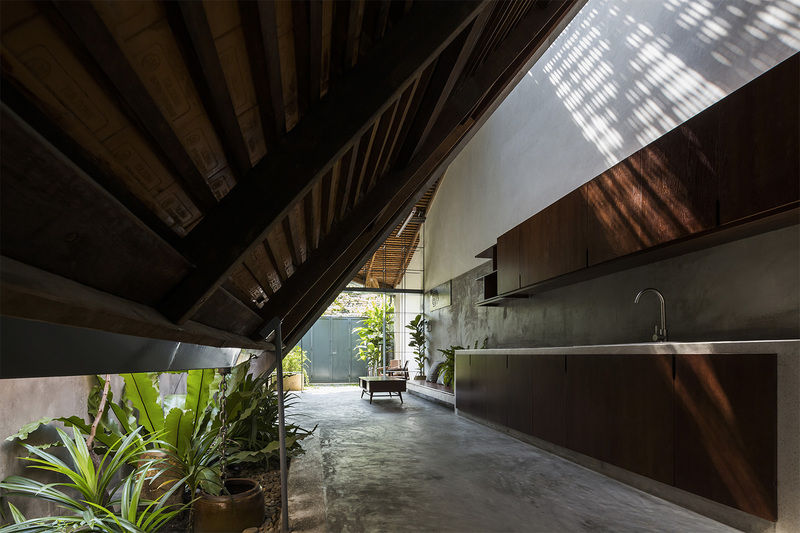 Boundaries between inside and outside are further blurred, with iron shelves separating the living area and back garden. 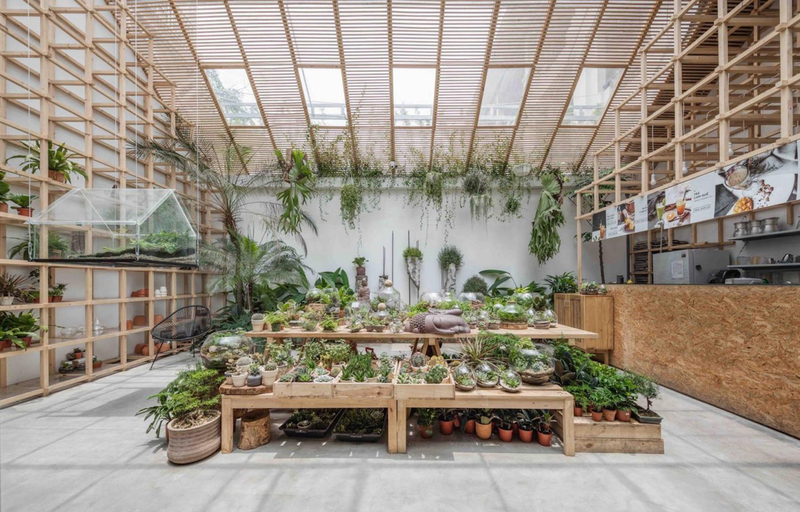 Openings in the roof meanwhile have been designed to channel light down into plant-filled spaces beneath.